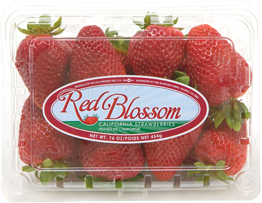 To ensure only the freshest, healthiest berries reach customers, Red Blossom has allied itself with iTrade Network to create a thorough, food safety network. Our Trace Back system tags clamshells with an encoded sticker, conveying date picked, grower, ranch, and crew – allowing the customer to retrieve the information online. To see our Trace Back technology in action, visit www.redblossom.com/myberries.